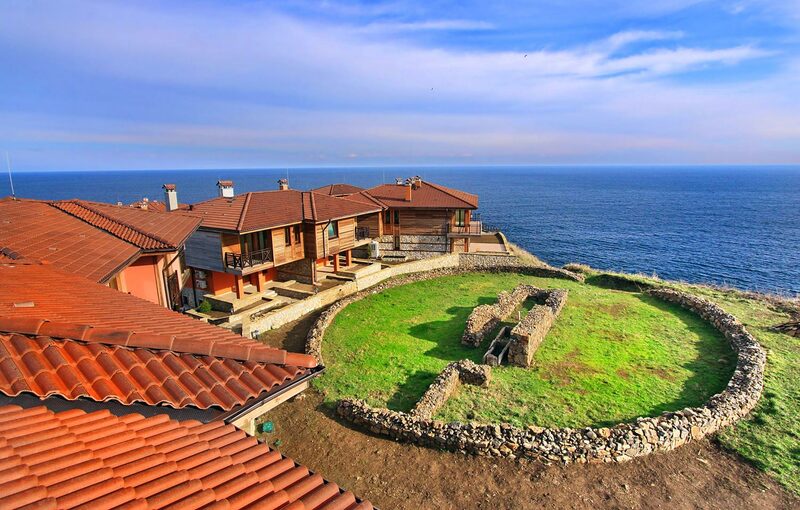 Locals say that under every stone in Sozopol lies a hidden piece of history. Wherever you look – there is something unique to find – stones, artifacts, ancient buildings. We have put a lot of effort and investment to uncover the secrets of Kolokita cape and preserve them for future generations. Before we started building the town, we worked hard in cooperation with the National Institute for Monuments of Culture, to uncover excavations and archaeological structures. Archaeologists found monuments of great cultural value - mounds № 9 and 10 – which are part of the archaeological monument "Kolokita necropolis." The mounds are currently fully preserved and exhibited for owners and guests to visit and explore. Fragments of amphorae, pottery and tile construction artifacts were discovered at the site, one of which has a seal belonging to the production of the manufacturer MOEHD, dated in the period around 330 AD-323 AD. Research and analysis of the materials found within the excavation mounds and facilities, shows that they date back to the IVth century before Christ. History tells us that thousands of years ago, local people believed Kolokita cape was a sacred place, and only noble rulers of the city had the privilege to step into their eternal path there. The energy of the place is overwhelming, the silence of the rocks is distorted only by the whisper of the waves, and the sun shining upon enlights and melts the boundaries of time.